The tech startup boom has been one of the most important and visible economic “growth engines” of the past half-decade. The boom was spurred, in large part, by the success and excitement over Facebook, Uber, Airbnb, and similar companies, which led to a widespread search for the “Next Facebook” or billion dollar “unicorn” company. 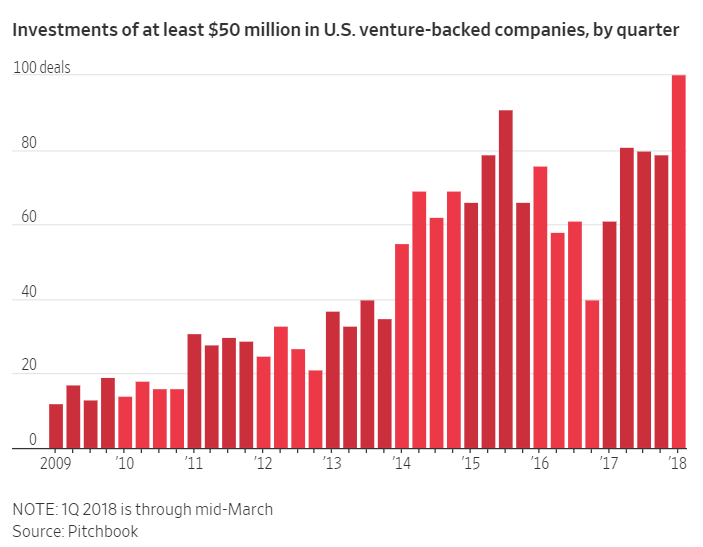 Unfortunately, the tech startup boom has devolved into a dangerous bubble as a result of record low-interest rates and the trillions of dollars worth of liquidity that is sloshing around the globe as a result of central bank quantitative easing (QE) programs. As an Austrian economist, I believe that central bank manipulation of borrowing costs (typically by holding interest rates too low) creates false signals or “fool’s gold” business and economic booms that trick investors into jumping into “hot” trends, only to lose their shirts when borrowing costs are inevitably increased again. These bad investments are called malinvestments and occur largely as a result of central bank market distortions rather than organic market forces. I believe that a very high proportion of today’s tech startups will prove to be malinvestments when the current boom turns into a bust. What Bubble? Are Giant Startups Really An Indicator Of A Bubble?